Dayra is a university student studying politics, and her family was introduced to Esperanza through her friend from school. 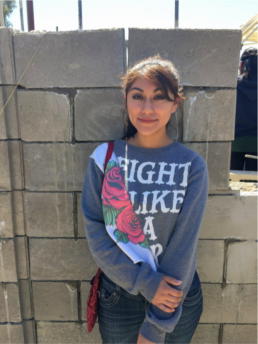 At first, Dayra was nervous to work with the volunteers from the US; however, after working with them for some time, she came to miss them after they left, and she hopes they return soon to visit. She wants people to know that women are the ones primarily working to build their houses, since the men generally work outside the home to financially support their families. 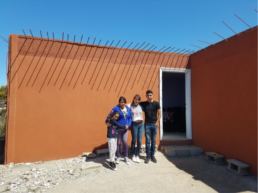 Further, she says that although the process is not as easy as people may think, Esperanza is a great organization that helps families that do not have the resources available to them to build their own home. She has also learned to have patience throughout the process and wants to help future families involved with Esperanza. Dayra proudly helped choose the pastel colors found in each room of her house that is still under construction. Her dream for the future is to have her own restaurant, taking inspiration from her mother’s great cooking skills.